Who says you have to stop wearing white after Labor Day! I love the crisp, clean look of winter whites. The other trend I'm still loving is vests. I snagged this vest early this year, but I know it'll be getting a lot more use over the next few months. It looks so cute over dresses as well as denim! Of course even the most perfect white palette requires a pop of color. The accessorizing was pretty simple, and I kept to a gray and blues theme. I also took the opportunity to add one of my favorite Lilly Pulitzer Murfee scarves (this is the Sagittarius print!) This is one of my go to prints for fall/winter because of the dark background. 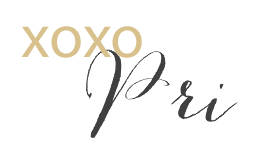 Over the next few days, I'll be sharing a new look for the blog so bear with me during this transition! I'll also be sharing a special 2 year blogiversary post as well-I can't believe it's been that long! Thank you all for following along on this journey!